A tech demo shows an octa-core Zen CPU edging out the Core i7-6900K in clock-to-clock benchmark tests. 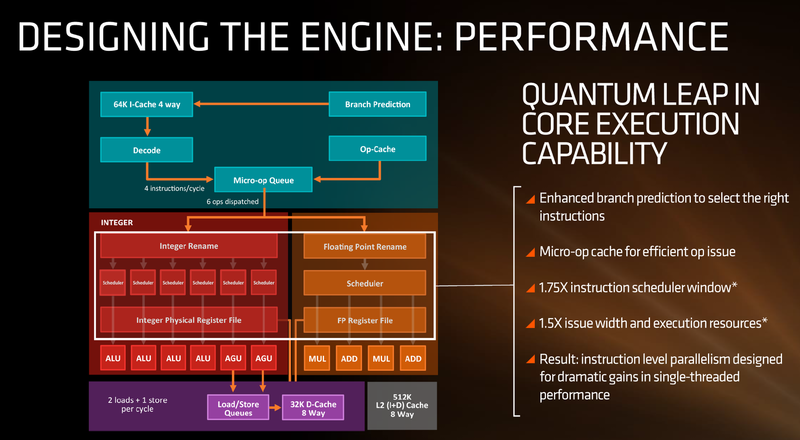 AMD "Naples" and Raven Ridge" platforms for servers and notebooks will not launch until 2017. 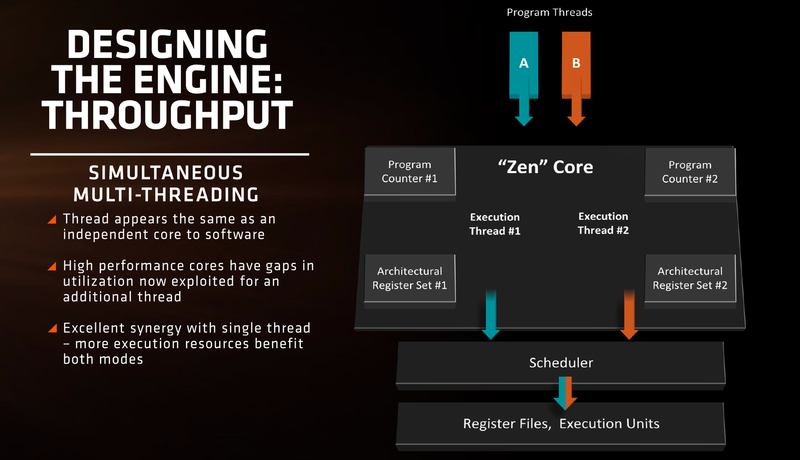 AMD officially unveiled its long-awaited Zen architecture late last week in an attempt to catch up to Intel and its Skylake and Kaby Lake platforms. 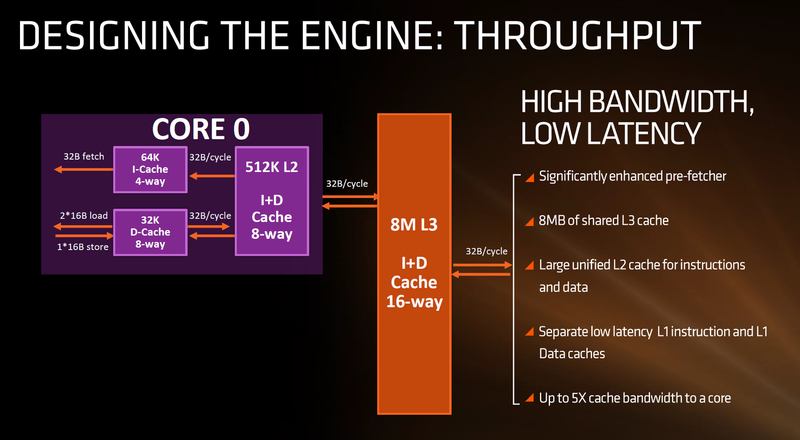 The new architecture has little in common with Bulldozer as its core units have been completely redesigned with new FPU units and both increased L1 and L3 cache sizes and bandwidth. The design shares features with Intel's Hyper Threading technology in terms of core duplication and how the number of cores are identified by the operating system. The move to a 14 nm FinFET production process gives the Zen series a raw boost in performance-per-Watt. 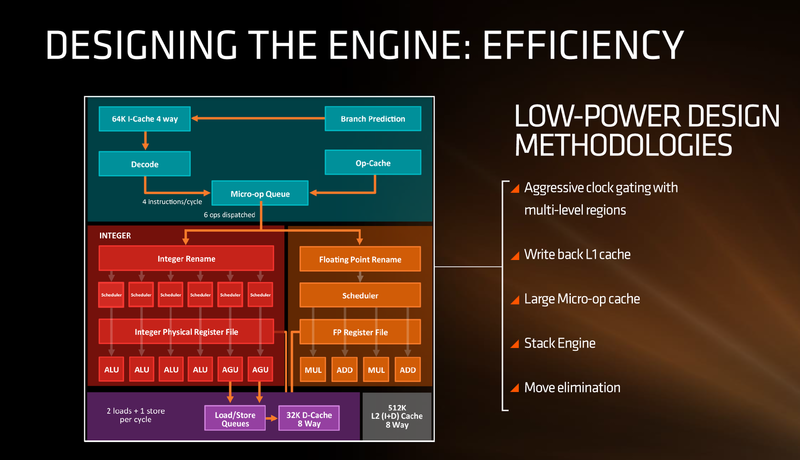 The Zen ES CPU was able to outperform a Broadwell-E Core i7-6900K during a live demo with the FPU-heavy Blender benchmark according to AMD, though the Intel chip was downclocked to 3 GHz for a fairer clock-to-clock comparison. First processors based on the Zen architecture will ship by the end of this year including the octa-core desktop "Summit Ridge" series. The "Naples" series designed for servers will integrate 32 CPU cores with availability starting in the second half of 2017 alongside the "Raven Ridge" platform with integrated Radeon GPUs for notebooks. The announcement puts an end to a dry spell for AMD as the company has been fairly quiet this year regarding new products and announcements.